Life science researchers interested in learning about how barley is able to withstand such unpredictable weather recently conducted research at Washington State University, Pullman that explains how genes in the barley plant are able to defend against risks like aging, drought, heat and disease. Barley is able to live longer because a specific gene in the plant acts as a switch that allows it to defend against aging and tolerate stress and attacks from diseases. The study’s findings were published in the Proceedings of the National Academy of Science and could potentially lead to the production of grain crops that can survive poor growing conditions and climate change. The life science researchers discovered two barley genes, called JIP60 and JIP60-like, play a vital part in the plant’s defenses triggered by the protective hormone JA. Keeping watch over potential threats, JA springs into action when the plant is in distress, producing proteins to help it deal with excess heat, low water supplies or disease. JA also helps plants to age more slowly. The findings hold significance for grain farmers worldwide. "This year was a good example. In Washington State, we had a cold spell in May and June just when winter wheat was flowering. It actually affected the long-term grain yield by causing injury to the plants," said Dr. Diter von Wettstein. "It is a problem for farmers who have small plots and are very poor. Any hit causes a significant loss of income." 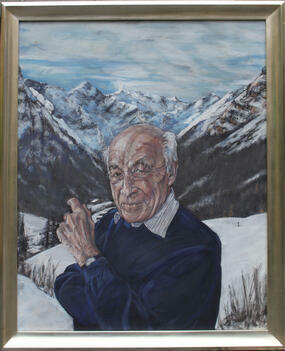 Dr. Diter von Wettstein is a professor within the department of crop and soil sciences at Washington State University, Pullman. His research interests include the biosynthesis of the photosynthetic membrane and chloroplast in biogenesis; chromosome pairing, mechanism of crossing-over and genome analysis; epigenetics designer Transcription Activator-Like Effectors; developing a proanthocyanidin-free barley; developing a wheat compatible with celiac patients; and the molecular genetics of stem rust and herbicide resistance in barley. WSU Pullman recently received a $5 million grant for a new research facility that will complement the existing 34,000-square-foot wheat research growth building. 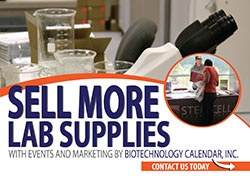 If you would like to meet face-to-face with life science researchers funded well enough to stock their labs with innovative, quality lab products, Biotechnology Calendar, Inc. invites you to exhibit at the BioResearch Product Faire™ Event at Washington State University on October 29th, 2014.